What qualifies as a divorce or separation instrument? Critical to understanding pre-2019 and post 2018 matrimonial divorce taxation is an in-depth understanding of what a divorce or separation instrument is. In some cases, the definitions seem archaic, but for now, the definitions are what they are. (A) A decree of divorce or separate maintenance or a written instrument incident to such a decree. (C) A decree (not described in subparagraph (A)) requiring a spouse to make payments for the support or maintenance of the other spouse.” IRC Section 71(b)(2). This language is repealed under Section 71 post-2018 and added to Section 121. Other than re-numbering, the content deleted from Section 71 and added to Section 121 is identical. TCJA Post-2018. The qualifying “divorce or separation instrument” language has been moved to Section 121 of the Internal Revenue Code, which is the Code section dealing with the exclusion of gain from the sale of a principal residence. Section 121(d)(3) is amended by adding the following definition of the kind of instrument one must have to come with the exceptions for use and ownership for divorcing couples selling a personal residence. Under pre-2019 law, Section 121 had cross-referenced Section 71 for the definition of a divorce or separation instrument. 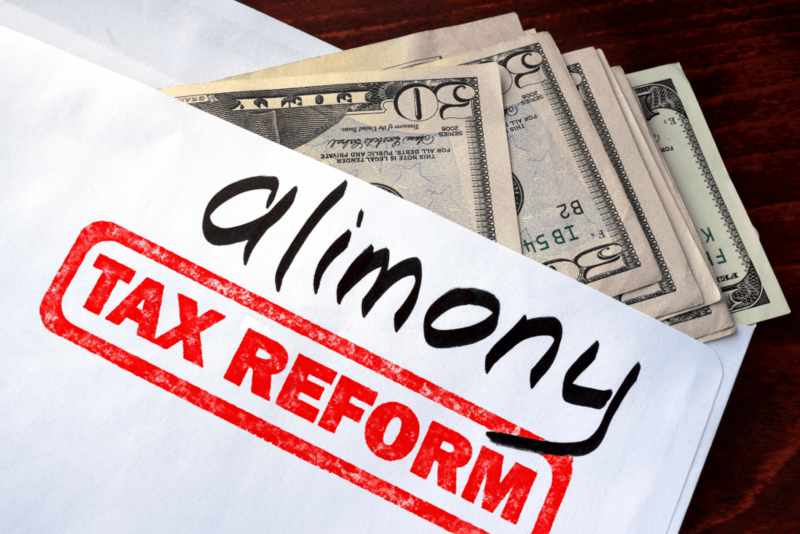 Section 71 is repealed for alimony orders and agreements after December 31, 2018. (iii) A decree (not described in clause (i)) requiring a spouse to make payments for the support or maintenance of the other spouse.” After TCJA, IRC Section 121(d)(3)(C). The framework for the definition of divorce or separation instrument is critical to understanding whether a divorce or separation decree or agreement qualifies for a particular tax benefit or is subject to a tax detriment. With this framework for divorce or separation instrument, let’s explore other divorce-related Internal Revenue Code sections impacted by the Tax Cuts and Jobs Act (TCJA). Some sections of the Internal Revenue Code look only at “(i) A decree of divorce of separate maintenance or a written instrument incident to such a decree,” and other sections incorporate all three subpart definitions of divorce or separation agreement. A good technical correction or amendment to the IRC would be to utilize all three definitions in all situations. Other than to weed out fraudulent situations of divorce and separation to obtain tax benefits, the Code would be much simpler to interpret with all three definitions in all situation, given the variance of divorce law in all 50 states. The next installment of this series will look at how these subparagraphs are incorporated into each section of TCJA.